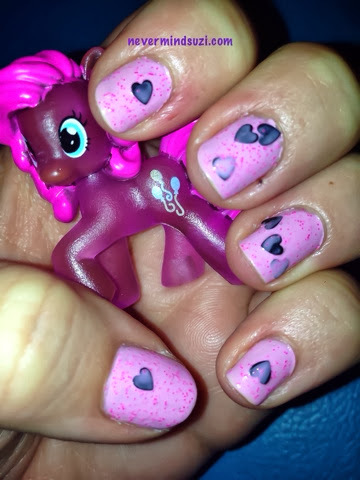 Just to declare it straight off, I am in love with this polish, but then, those that know me will know that I'm OBSESSED with all things My Little Pony! 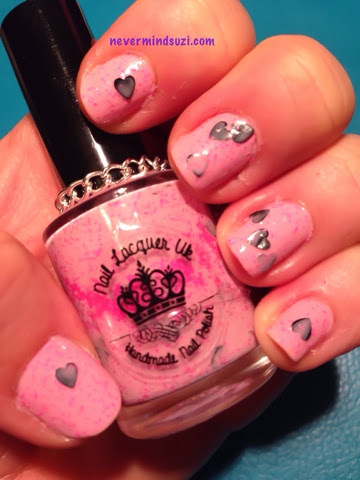 This is my first ever Nail Lacquer UK polish and I've got to say I'm very impressed. 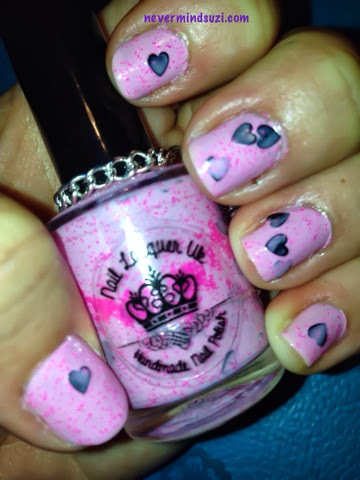 I've used a number of milky based polishes before but Pinkie Pie surpasses them all!! No need for undies with this beauty, completely opaque in two coats! Though I added a third, cuz that's how I roll, lol. 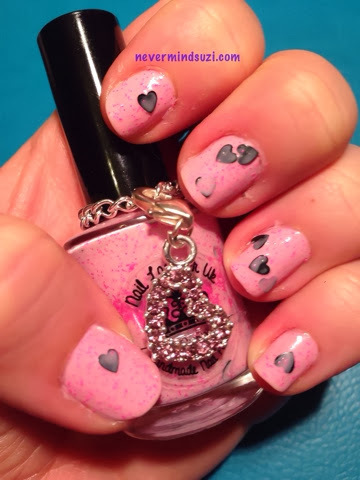 The pink micro glitter spread perfectly and I didn't have to fish for the fabulous black hearts. 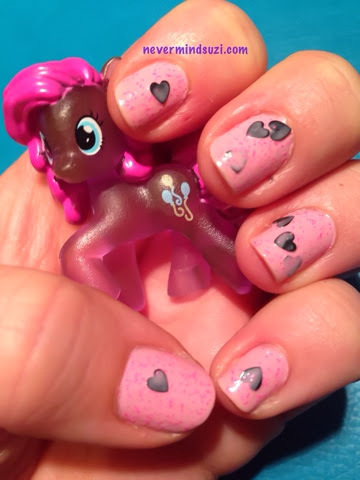 Pinkie Pie herself would love this polish, it's a definite winner! !